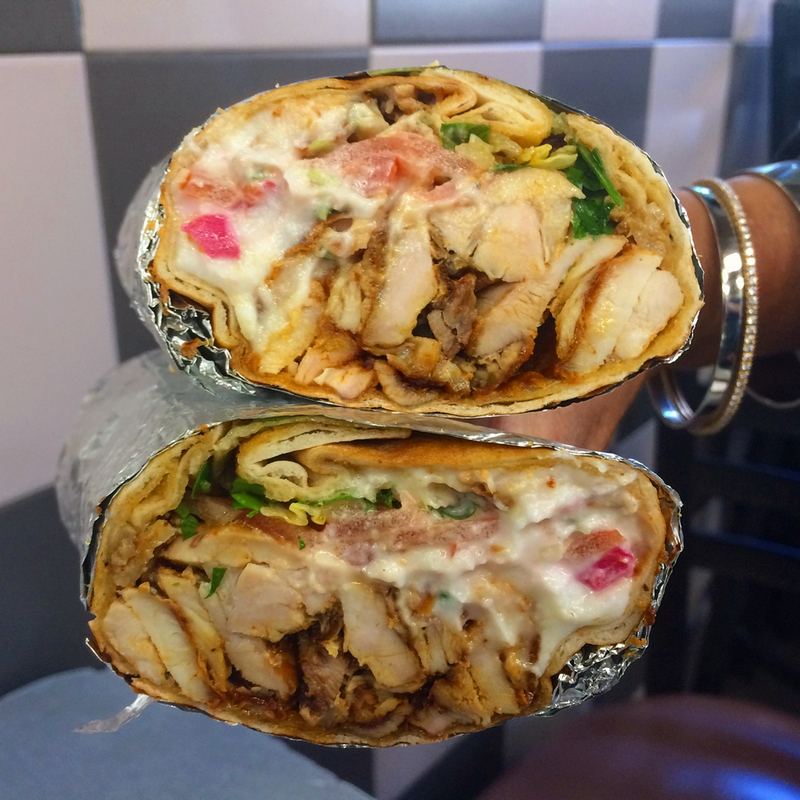 The Arabic word shawarma has its roots in the Turkish word çevirme, turning, which describes the pirouetting conically-stacked slabs of marinated chicken as they inch past the searing glow of the vertical rotisserie. Karam, at 8519 4th Avenue in Bay Ridge, Brooklyn, offers two variations on the popular street food: beef & lamb and chicken, and prepares one of the very best in this Middle Eastern neighborhood (which probably should have earned the moniker Little Levant, but didn’t). Shown here is chicken shawarma; packed with deftly-seasoned succulent meat, lettuce, tomatoes, and dressed with a yogurt based sauce, it was one of the finest delicacies we enjoyed that day.